As many of you know I’m extremely busy getting involved with the Ridgewood gang again. I seem to have left this bunch behind for far too long, and I’ve loved getting back into the thick of it with Roberta, Susan and the other cast members. Today I hit 40,000 words for Book 3 of this five book saga, so I’m just over halfway through and there’s some interesting developments occurring. You may all be wondering about the child at the end of The Tower of Souls ….well, she’s a very important piece of the puzzle! There’s also some old faces appearing (Galdur and Vronny), as well as the story of the Ammokra and Gathin progressing nicely. 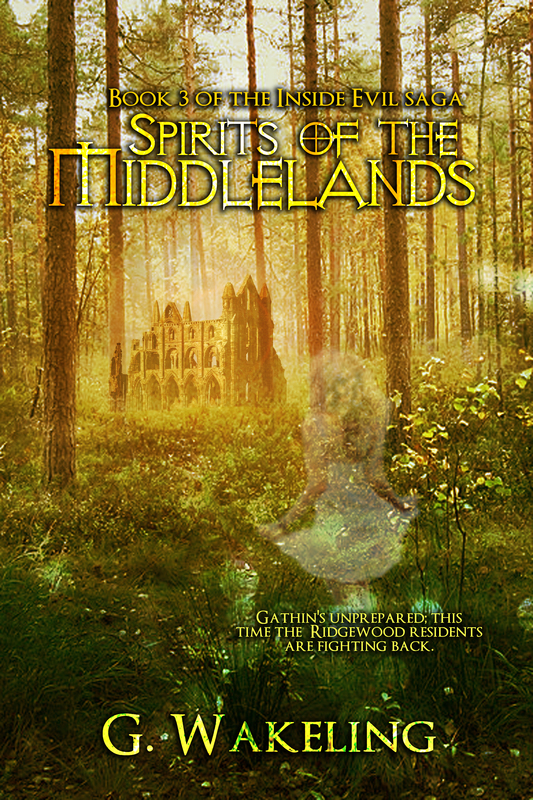 I’m aiming at an end of March launch for this Spirits of the Middlelands, so if you want to be the first to know when it’s released, then feel free to sign up to the newsletter. “Like I would,” Barry replied with a grin, though he cast his hand towards the pristine carpet and watched as Martha’s eyes bulged when the wet trout tails dripped perilously close to her furnishings. “It’s 4.30 in the morning,” Galdur groaned, his face still scrunched up, his hands tiredly wiping his eyes. “I know, I’m sorry, I couldn’t sleep and I just thought you might be up,” Susan apologised as realistically as possible. She’d known quite well that she could be waking him, but Susan was becoming tired of waiting for answers to magically appear out of the air. “Not saying no is the story of your life,” Roberta smiled as she rolled her eyes in Sam’s direction. I think those few quotes have a few interesting titbits to mull over for you! In more book news, I’m also in the process of making Inside Evil FREE in the lead up to the launch. It’s already listed for FREE on Kobo and I’m waiting for the price match to trickle across to Amazon. Now, I better go and continue writing!